Carinya is a classic seaside family holiday home we all dream of. 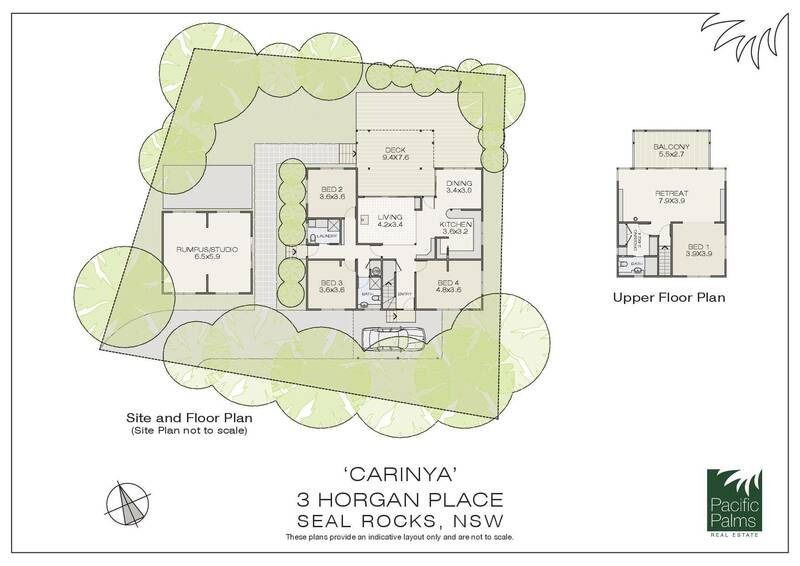 Carinya offers all the benefits of that relaxed Seal Rocks lifestyle with a rare combination of intimate leafy privacy, a perfect Northerly aspect, stunnng close ocean and beach views and a level sundrenched garden. •	Superb parents retreat encompasses the entire upper level with breath taking coastal vistas – a private sanctuary to saviour. •	Only minutes to the beautiful waters edge. Carinya – One of Seal Rocks best kept secrets.